Harry N. Abrams, 9781468309546, 336pp. 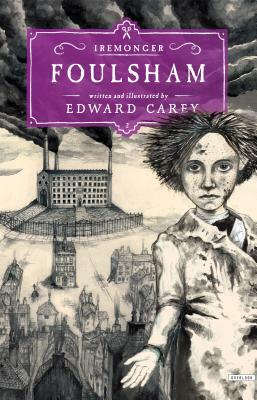 Edward Carey is the author and illustrator of two novels for adults, Observatory Mansions and Alva and Irva, which was longlisted for the IMPAC Literary Award. The Iremonger Trilogy is his first work for young readers. Born in England, he now lives with his wife, Elizabeth McCracken, and their two children in Austin, Texas, where he wrote the Iremonger Trilogy.